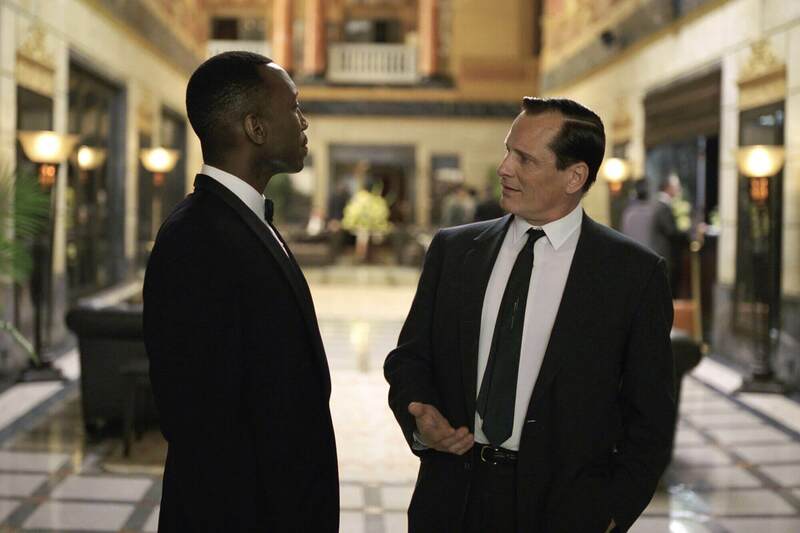 Earlier this week the film Green Book came out, detailing a tour through the deep South musician Dr. Don Shirley took in the 1960’s. Directed by Peter Farrelly and penned by Farrelly, Brian Hayes Currie and Nick Vallelonga, Green Book focuses on Vallelonga’s father Tony Lip and his relationship with Dr. Shirley. While the film has been well received by critics and, for the most part, the general audience, people have cited concerns about the accuracy with which the events of the trip are portrayed. It’s also been argued that too many movies about racism are from the perspective of a white protagonist. Personally, I didn’t know this story, and I’d never even heard of either Vallelonga or Dr. Shirley prior to seeing this film’s trailer. With the occasional exception, I prefer to go into a movie with as little information as possible; I don’t like to have expectations that can be disappointed, and the film seems fresher that way, allowing for more surprises. With that in mind, I won’t be commenting on how accurate I think the story is or how these real men are portrayed because I don’t know. The fact that Green Book is based on a true story had little bearing on my decision to see it in theaters anyway; to me, the most outlandish piece of fantasy has equal value to a grounded biography when done right. Without any further ado, let’s take a look at Green Book. 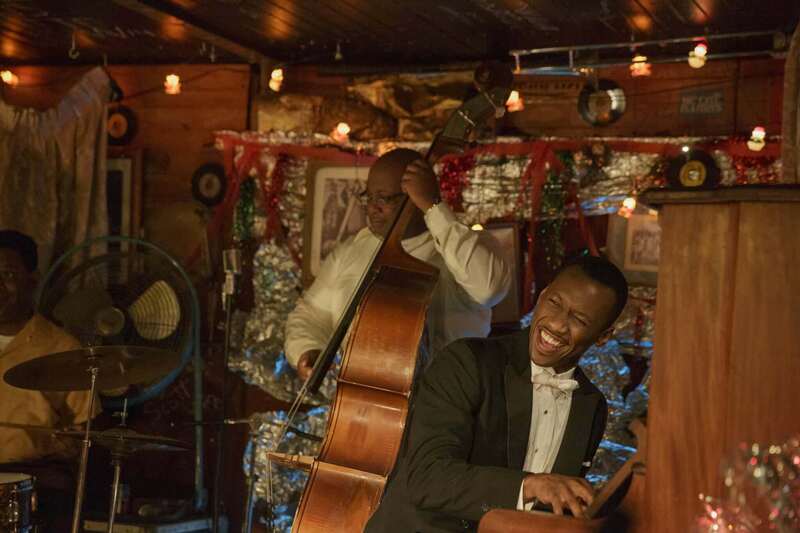 Green Book opens in a nightclub called the Copacabana in 1962. Tony “Lip” Vallelonga works as a bouncer there, making friends and punching drunks in equal measure. When the Copa closes through November and December for renovations, Tony finds himself in need of some temporary employment; his family is barely able to make ends meet as is, sharing a small room and scrounging to pay the rent. Conveniently at the start of this time of need, Tony receives a call about Dr. Shirley needing a driver and agrees to go for an interview. Dr. Shirley initially offers less money than Tony wants and expects a butler as well as a driver and bodyguard, but if you’ve seen the trailers you know they work it out and Tony accepts the job after haggling. The two encounter trouble down south but Tony proves equal to the job. Along the way, the two get close, and Tony is forced to reevaluate his assumptions about black people. Dr. Shirley is confronted with the people he’s distanced himself from and experiences some unexpected and powerful emotions. The film borrows its name from Green Books, publications around the time that advised traveling African Americans where it was safe for them to eat and lodge. It pretty much goes without saying at this point, but Viggo Mortensen is excellent as Tony. He’s all but unrecognizable in the role, and he again proves to be a master of accents. I haven’t seen Mahershala Ali in anything else but I always hear great things, and he’s wonderful as Dr. Shirley. Although her part is a little bit smaller, I also really liked Linda Cardellini as Tony’s wife Dolores. The best aspect of Green Book for me is the characters and their relationships. I love that both Tony and Dr. Shirley are subtly written; rather than having Tony come out and state how he’s changed, the film lets his actions speak for themselves. At the beginning of their journey, for instance, Tony is constantly eating in front of Dr. Shirley, even eating a sandwich Dolores sent with him specifically for Dr. Shirley. This is in stark contrast to a later scene featured in the film’s trailer, in which Tony shares his bucket of KFC with Dr. Shirley; in fact, the reason he got a bucket was so that they could share. The difference is also clear in their interactions with the police; Dr. Shirley even points out that Tony acts out in defense of himself when a policeman insults him, not in defense of Dr. Shirley’s safety. This changes drastically throughout the film. Dr. Shirley’s character arc is a bit more open-ended, but he definitely leaves the audience with something to think about. I wasn’t previously aware that this film took place during the holidays, as this wasn’t featured in any of the ads and I didn’t know this story. This was something of a treat, and the ending of Green Book has more of a Christmassy, warm-and-fuzzy feeling than some actual Christmas movies I’ve seen this year. The film is also beautifully shot, particularly as the two drive across the country. The costumes are convincing and visually appealing. Composer Kris Bowers crafts a unique, versatile and memorable musical score, and he also stands in as Mahershala Ali’s piano double during particularly difficult musical moments. As you could probably glean from the trailer, the dialogue in Green Book is impressive in a number of ways. There are several poignant observations about Shirley, race relations and the Civil Rights movement, and Tony gets some good lines too. Green Book is also quite funny; my theater was howling with laughter several times throughout the movie, and this is the first film I’ve seen in a while where the audience all clapped at the end. I can understand some of the criticism of the film, but I just don’t know enough about the story or either of the men to agree or disagree. All I can say is that it was a big crowd-pleaser and that, at least for me, the film was far from racist or stereotypical. Overall, I enjoyed Green Book about as much as I had hoped I would. The acting is fantastic from the two leads, and everyone else does their part too. The film’s visuals and musical score are distinct and pleasant. The dialogue throughout Green Book is dynamite, and there are more than a few hearty laughs to be had here. The film is expertly made and extremely entertaining, as well as having interesting, likable characters and a great message. I would definitely recommend supporting Green Book this holiday season. I enjoyed Green Book about as much as I had hoped to. The acting is fantastic from the two leads, and everyone else does their part too. The film’s visuals and musical score are distinct and pleasant. The dialogue throughout Green Book is dynamite and there are more than a few hearty laughs to be had here. The film is expertly made and extremely entertaining, as well as having interesting, likable characters and a great message.